It launches several R&D&I plans that have the backing of the Basque Government’s Etorgai and Gaitek programmes as well as of the Retos programme of the Ministry of Economy and Competitiveness. 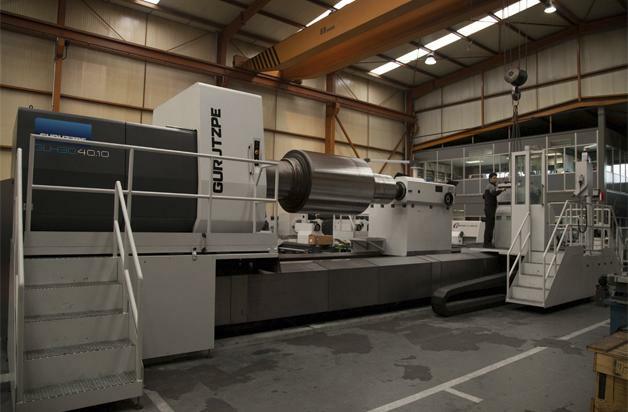 Gurutzpe's projection in the construction of customised machines with turnkey solutions for large-sized complex parts has been consolidated by attracting singular orders in Europe and the USA, and with the start-up of several R&D&I projects, to respond to high-complexity machining. The Guipuzcoa company, Gurutzpe Turning Solutions, has consolidated its business bases by reaching several landmarks that it had established in its strategic plan. The actions have been geared to fostering its R&D&I activities, reinforcing its human resources in the engineering and commercial areas, extending its external service network and adding new industrial references. In innovation, noteworthy among the projects under development with support from the Basque country, is its participation in Etorgai ZERO, together with Tecnalia, Ibarmia, Kondia and Nicolás Correa. The general objective is to optimise the features of the guiding systems to be able to machine parts with extreme dynamics requirements and micrometric geometrics, managing, in the case of Gurutzpe to machine tapered-spiral gearings. Furthermore, through a Gaitek, it undertakes to create an integrated lathing/milling module. On its part, the Ministry of Economy and Competitiveness backs them in its Inmaquener Project, which seeks to create adaptive control solutions to optimise machining processes and increase productivity. In the latter programme, it collaborates with Mondragon Unibertsitatea, Fagor Electrónica and Ibarmia. The application of the new medium to long-term solutions will help extend its offer range in high process requirement machining and special designs. In this line, Gurutzpe technicians are working on the construction of several machines for the United States and with applications in oil&gas, nuclear and steel industries. The equipment will be based on its models GLX 13, 16 and 20, which will enable it to process parts of up to 25 tons in weight and 10 metres in length. Technicians from its mother company, Etxetar have provided advice in mechanical design, software and after-sale service due to the high engineering load required to develop these programs and operations. The steel industry, Tenaris, and the Schlumberger industrial group are two of the customers that will receive the machines in coming months. It is developing another singular project for a leading European manufacturer specialised in machining large elements for gas turbines. In this case, its GLH 30 machine, with capacity to overturn three metres and to machine 50 ton parts, will include lathing, milling and grinding modules with semi-automatic changeover of the turret; different steady systems, large capacity rollers and hydrostatic support, with which it will be able to take on work with different sized parts. To consolidate the change and gain in flexibility and added value, it has multiplied the number of technicians in the commercial and engineering areas by three, a process that it has coordinated with outsourcing workshop work. In fact, its engineering department will grow this year with the addition of new posts. With respect to the creation of its own commercial and service network abroad, Gurutzpe has recently opened offices in Germany, thus completing the first phase of the project. This centre is in addition to those it opened in the United States, China and Russia last year.